4 Brand New Tires!! 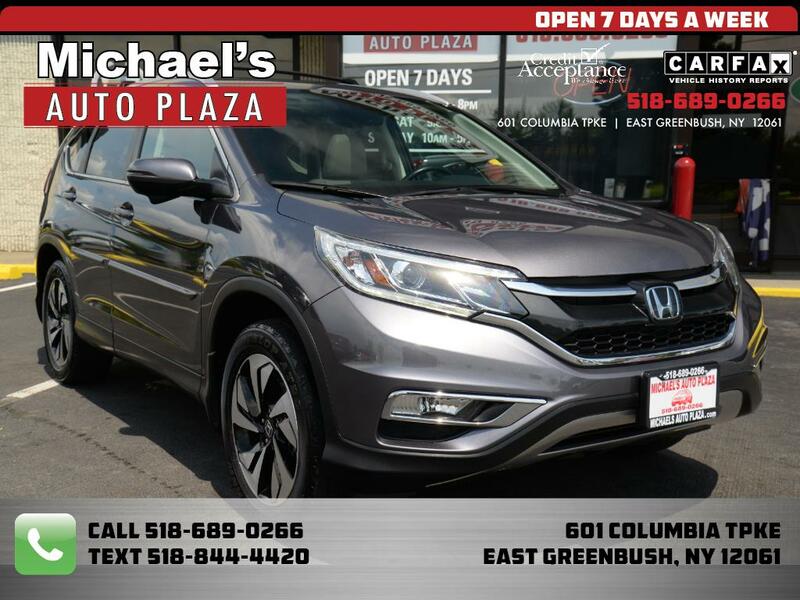 Take a look at this ONE OWNER 2016 Honda CRV Touring, Gray with Gray Leather Interior, 31k miles, Navigation, Backup Camera, Heated Seats, Power Sunroof, Push Button Start, Portable Audio Connection, Bluetooth, Premium Audio, Satellite Radio, Stereo Controls on the Wheel, Keyless Entry, Power Windows, Locks & Mirrors. A/C, Cruise, Tilt, CD.